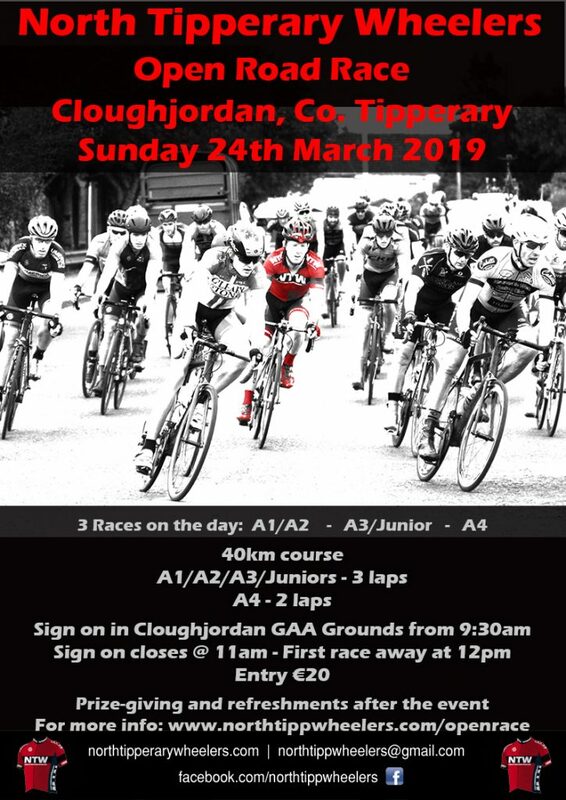 North Tipperary Wheelers are delighted to announce we are holding our Open Road Race this year on Sunday March 24th in Cloughjordan, Co. Tipperary. 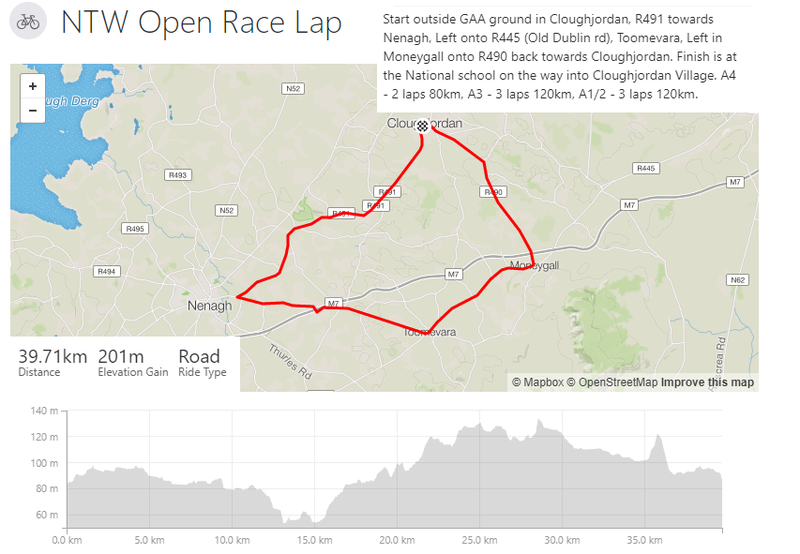 Sign on begin in Cloughjordan GAA grounds(E53 FE89) from 9:30am. 10minutes from Obama Plaza off the M7.